The Birmingham Public Library (BPL) is partnering with the Rotaract Club of Birmingham and Birmingham City Schools to host a giveaway of school supplies as the 2016-17 school year kicks off. This is the ninth year the Rotaract Club of Birmingham, a young professionals civic club affiliated with the Rotary Club of Birmingham, has hosted the school supplies giveaway, said Marcus Carson, a member of its board. Carson said individuals and organizations wanting to support the give-away can do so by giving to the Rotarac Club of Birmingham Foundation on their website. The Rotaract Club of Birmingham is the largest Rotaract Club in the world. Due to air conditioning issues in the East Building of the Central Library, the Central Library will have temporary new hours until the air conditioning is repaired. For the week of July 25-29, the Linn Henley Research Library and the first floor of the East Building (Fiction Department and Circulation Department) will be open from 9:00 a.m. to 6:00 p.m. The second and third floors of the East Building will be open from 9:00 a.m. to 1:00 p.m. This has been a fun and exciting summer of television. I have been a fan of American Ninja Warrior for several years now, but this year, the networks have taken the competition shows up a notch. I have added two new team competition shows, American Grit and Spartan Ultimate Team Challenge, to my list of favorites and hope they will return next year. 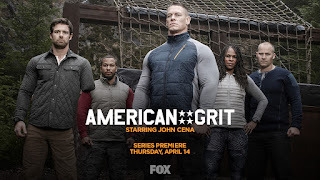 American Grit actually premiered in the spring, but ended in June. American Grit – Four teams of four, guided by military personnel (“The Cadre”), embark on challenges that mirror actual military training. Some of the challenges included breaking down camp and setting it back up in another location; building a shelter, purifying water, and making a fire using very basic supplies; and using a compass and map to navigate to a checkpoint out in the forest, then navigating back to the starting point. The team who wins the challenge gets a reward and is also safe from having a team member eliminated. The Cadre for the other teams must select one member of the team to participate in “The Circus.” The Circus involves a brutal obstacle course followed by an endurance challenge. Endurance challenges ranged from squatting in a small enclosure while balancing a cylinder on a block to performing sets of burpees followed by immersing your entire body in ice. The first person to “fail” the endurance challenge is eliminated. Remaining team members must carry out future missions and face The Circus despite their shrinking numbers. The ultimate prize is $250,000 for each team member who survives the final Circus. 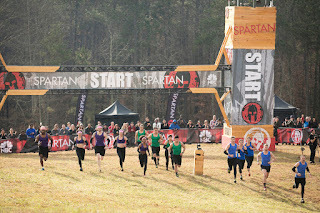 Spartan Ultimate Team Challenge – Spartan races have been around for quite a while, but the standard Spartan race is an individual competition. The course for the Spartan Ultimate Team Challenge was modified to create challenges that required teamwork in order to complete. For example, team members had to lift a 250-lb wall with a rope to allow members of the team to dunk themselves in 55-degree water and go under it. Another challenge required all five team members (led by professional Spartan racers) to climb a rope over a body of water and once the last team member is physically out of the water, pass a flag up the rope so the person at the top can clip it to a hook. Each episode features two heats. The winner of Heat 1 advances to the final to face the winner of Heat 2 and the team with the next fastest time after both heats. The team that wins each week’s final moves on to compete for $250,000 in the finale. 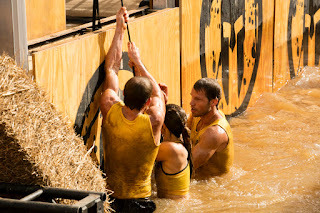 The Spartan course for the finale was modified to make it even more difficult. It is so exciting to watch people push themselves to their physical limits to help their teams succeed. It’s even better to be able to do that while sitting on the couch eating potato chips. 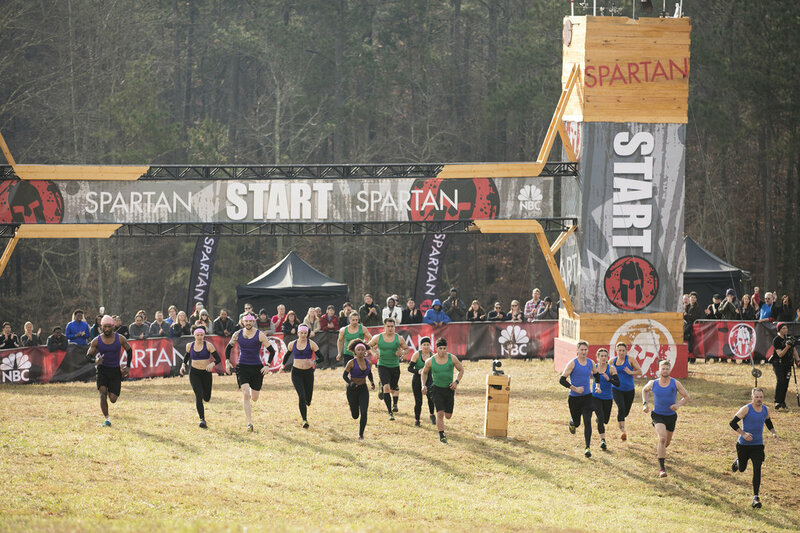 Although the shows have ended for the season, you can watch all the episodes of Spartan Ultimate Team Challenge on NBC.com or the NBC app. Episodes of American Grit can be viewed on FOX.com or the FOXNOW app. Start training now for next year’s competition! Maybe I’ll be watching you from the couch (or the recliner). The Pratt City Branch Library is hosting the free workshop Damsel in Defense on Tuesday, July 26, from 4:30-5:30 p.m. 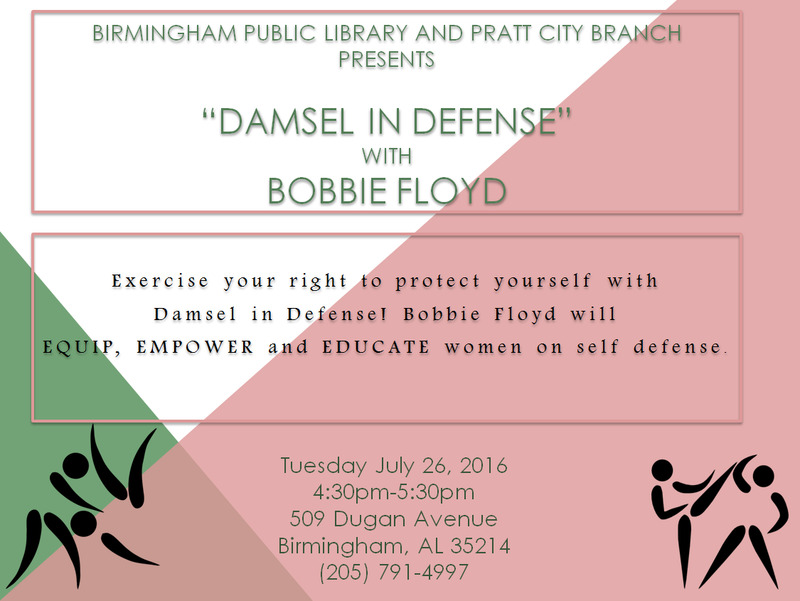 The self-defense program is being offered as part of the Birmingham Public Library (BPL)’s 2016 Summer Reading. Exercise your right to protect yourself with Damsel in Defense. Instructor Bobbie Floyd will equip, empower, and educate women on self-defense with simple strategies, said Deborah Drake Blackmon, branch manager of the Pratt City Library. The Pratt City Library also has two other summer reading workshops coming up designed to educate the public about two other issues: hospice care and elder abuse. On Wednesday, July 27, from 11:00-11:45 a.m., Melanie Johnson of Gentiva Hospice will discuss caregiver stress and burnout in the workshop Learn About Hospice Care and How it Can Help You. On Thursday, August 11, from 11:00-11:45 a.m., Johnson will return to lead a seminar on elder abuse and how many cases of elderly abuse are overlooked. In the workshop, Johnson will share tips on how to look for changes associated with aging or declining health. It’s not only baseball season, but also small business season at the Birmingham Public Library (BPL)! 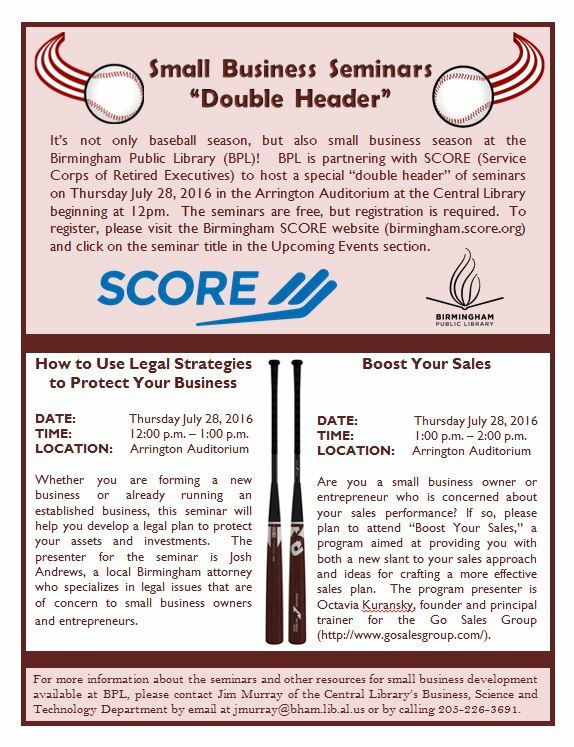 BPL is partnering with SCORE (Service Corps of Retired Executives) to host a special “double header” of seminars on Thursday July 28, 2016, in the Arrington Auditorium of the Central Library beginning at 12:00 p.m. The seminars are free, but registration is required. 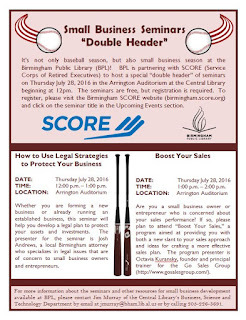 To register, please visit the Birmingham SCORE website and click on the seminar title in the Upcoming Events section. 12:00-1:00 p.m. Whether you are forming a new business or already running an established business, this seminar will help you develop a legal plan to protect your assets and investments. The presenter for the seminar is Josh Andrews, a local Birmingham attorney who specializes in legal issues that are of concern to small business owners and entrepreneurs. 1:00-2:00 p.m. Are you a small business owner or entrepreneur who is concerned about your sales performance? If so, please plan to attend Boost Your Sales, a program aimed at providing you with both a new slant to your sales approach and ideas for crafting a more effective sales plan. The program presenter is Octavia Kuransky, founder and principal trainer for the Go Sales Group. For more information about the seminars and other resources for small business development available at BPL, please contact Jim Murray of the Central Library’s Business, Science and Technology Department by e-mail at jmurray@bham.lib.al.us. Though a valuable source of information, the Index can still be a bit cumbersome to use. Suppose you wanted to know about William Wyatt Bibb, the first governor of Alabama. You could turn to his name in the Index and see an entry like this: "Bibb, William W, Beverly, I: 39; N.C.B. , X: 425; Riley, I: 1; . . ."
And the entry continues for several more lines. To decipher it, you would have to turn to the front list of sources, in which you discover that “Beverly” means History of Alabama: For Use in Schools and for General Reading by John William Beverly and that the entry for Bibb is on page 39. You would have to follow the same procedure for the rest of the titles in the list. It’s slow going at first, but easier once you’ve learned the drill. The Index has gone through several evolutions in its history with BPL. 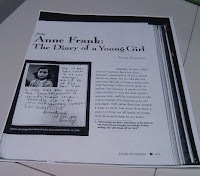 When the original and very well-thumbed copy was showing signs of heavy use, a bound photocopy was placed on the shelf, but the photocopy also reflected the evidence of wear and tear as well as the extensive annotations, such as the change from Dewey call numbers to Library of Congress. However, this source became much easier to search when it was converted into one of the library’s databases. Using this format, all a researcher has to do is search a name to generate a list of sources, complete with catalog links to help locate items on the shelf. Even though the W.P.A. 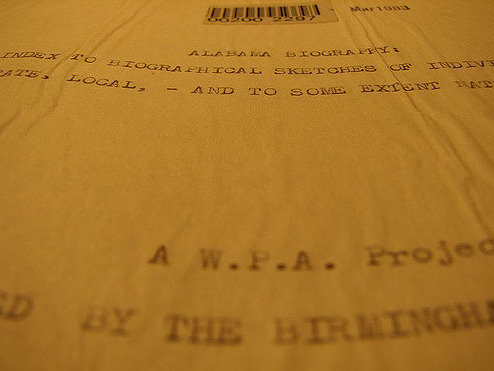 Index was never completed according to the original vision of the Works Progress Administration, it remains one of the most informative guides to biographical material about Alabamians. Take a look at one of our bound copies in the collection or try out the database, which is accessible from your home or office. With the approach of our Bicentennial, it’s a good time to learn more about the people who shaped the history of our state. Who are your famous Alabamians? 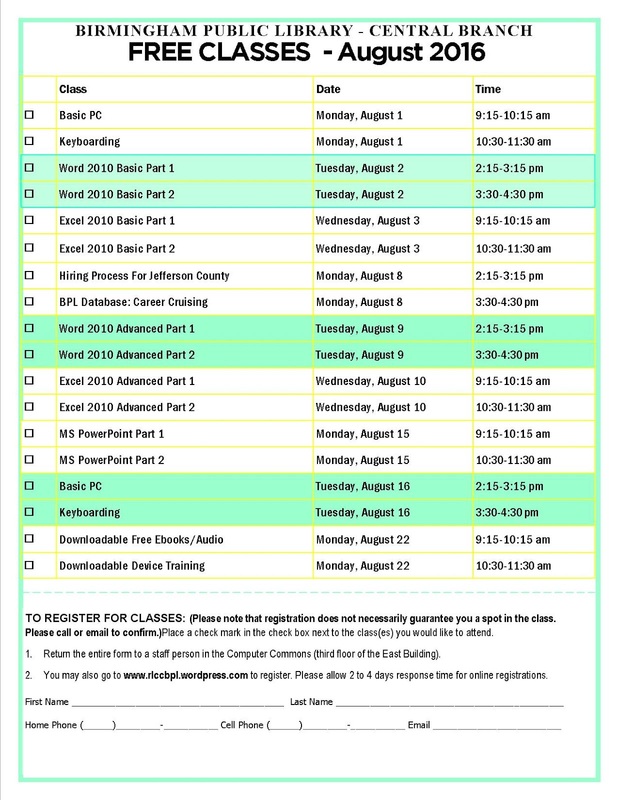 Registration is now open for staff and the public for the August 2016 Computer Class Schedule. During this month, we include a Basic PC class, Excel 2010, Hiring Process for Jefferson County, as well as our popular downloadables class. All classes are held in the Regional Library Computer Center (RLCC) of the Central (downtown) Library. PRE-REGISTRATION IS REQUIRED FOR ALL CLASSES. To register for any class, please email us at cenrtc@bham.lib.al.us or call 205-226-3681. You may also download and print a pdf copy of the August 2016 Computer Class Schedule to bring to a Computer Commons staff member on your next library visit. 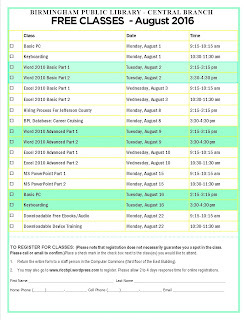 Please note that the August 2016 Computer Class Schedule pdf can be sent to us as an email attachment. Ever made a bad copy on a copy machine? 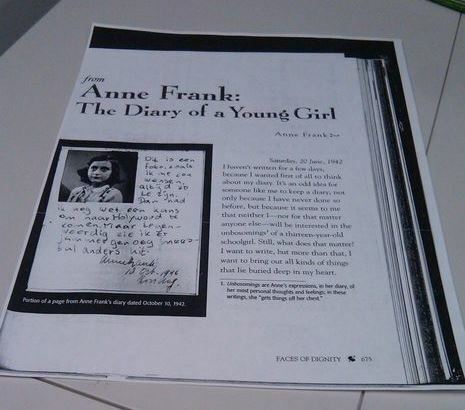 We have all been there as the copy may have smeared text, words cut off, thick black lines, and poor image quality. Because none of the books in the Southern History Department can be checked out, our patrons make a lot of copies as they conduct local history and genealogy research. The Southern History Department applied for a major grant from the Alabama Public Library Service, which administers Alabama’s allocation of federal money received through the Library and Science and Technology Act. With the grant money, we purchased a KIC Click Mini overhead book scanner for the Southern History Department. Because of the overhead design, you can capture an image deeper within the folds of the book and the curvature of the spine of a tightly bound book. It also saves wear and tear on the binding of the books as you no longer have to flip the book over and flatten it to make a copy. You will be able to scan in both color and black and white, print, save to a flash drive, or upload to cloud storage (Google Drive, Box, OneDrive, and Dropbox). It can save in the following file formats: PDF, JPEG, PNG, and Rich Text. Another great feature is that is has OCR (Optical Character Recognition) software, which can made a PDF keyword searchable; you can also crop your images. Since saving to a flash drive is the most popular option, please bring a flash drive, or you can purchase one from the Friends Bookstore. Saving a digital copy of your scan is free, and prints are $.15 per page. Several of our loyal patrons have already tried it out and love it! Wanda Looney, a member of Birmingham African American Genealogy Group, has been scanning pages out of several local cemetery books to help her identify abandoned and overgrown cemeteries. She exclaimed, “I can be in the middle of a deserted cemetery overgrown by weeds, and can pull up the information I need from a cemetery book on my phone. It’s amazing!” We are excited about the overhead book scanner, and cannot wait for you to try it out! 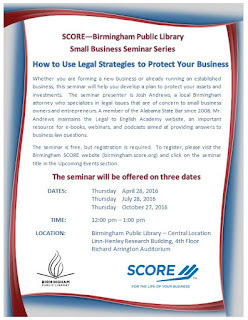 How to Use Legal Strategies to Protect Your Business is presented by Josh Andrews, a Birmingham lawyer specializing in legal issues of concern to small business owners. It is scheduled for Thursday, July 28, from 12:00 to 1:00 p.m., in the Central Library’s Arrington Auditorium, located on the fourth floor of the Linn-Henley Research Building. This same seminar will also be offered on Thursday, October 27. 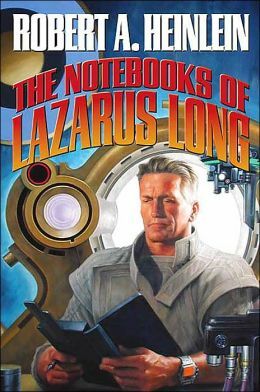 The character Lazarus Long is the star of two Heinlein novels, Methuselah’s Children and Time Enough for Love. He also appears in The Cat That Walks Through Walls, The Number of the Beast, and To Sail Beyond the Sunset, the story of Lazarus’ mother. Lazarus is rich, wise, and extremely long-lived. He attributes his wealth to the fact he knew to never draw to a pair of deuces, and his long life to never giving anyone the chance to shoot him in the back. The Notebooks of Lazarus Long are a collection of Long’s aphorisms for wealth, happiness, long life, and love. They are also funny. Before I adjourn this blog entry, let me assert that this brief title should not be missed for its entertainment sake, if not for any other reason. While the illuminations may not compete with those of The Book of Kells and other ancient illuminated manuscripts, they are compelling as well. More than a dozen Birmingham area teens now have insight on how computer coding is used to create movies and video games, thanks to the Birmingham Public Library (BPL) and community partners. On July 11-15, the Central Library hosted the Steel City Hackers Coding Camp for middle and high school students. 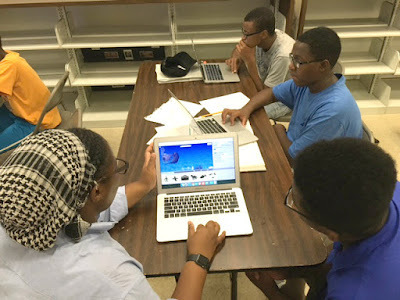 Generously funded by a UAB Benevolent Fund Local Agency Grant, the coding camp offered local teens a week-long opportunity to learn how to code and create their own movies and video games. Teens used ALICE, a computer programming environment designed to teach code and offered free to the public by Carnegie Mellon University. In addition to gaining a better understanding of the importance of science, technology, engineering, and mathematics, teens learned the importance of algorithms and the building blocks for learning and applying other computer programming languages. “This program fit well with our mission to provide 21st century informal education programs at the library,” said Lance Simpson, teen librarian for the Central Library. “Our teens had a blast learning to code in ALICE. They had wonderful instructors in Ms. Keiah Shauku and Ms. Kelly Creel.” Simpson said many of the teens started out with no knowledge of computer programming, and by the end of the week had all created a complex video game or interactive video that demonstrated their newly advanced programming skills. “We are so grateful to the UAB Benevolent Fund for the support of such an innovative program, and look forward to offering more programs like this in the future,” Simpson said. In early June, the Central Library partnered with the UAB School of Engineering to host another free week-long computer camp as part of BPL Teens Engineer Birmingham, an afterschool program funded by a $50,000 grant from the UAB Benevolent Fund Grant Program. Simpson and Carrie Campbell, grants and special projects librarian, submitted the grant application on behalf of BPL. The money will be used to expand BPL’s teen engineering afterschool program from Central Library to other Birmingham public libraries beginning this fall. The Central Library is hosting a free Intro to Pokémon Go workshop Saturday, July 23. The workshop, from 10:00 to 11:00 a.m. in the Story Castle on the 2nd floor, is an effort by the Birmingham Public Library (BPL) to educate people about the popular mobile game sweeping the country—and to promote safety at the same time. The workshop is being organized by Jennifer Hancock, a library assistant in the Central Library Youth Department who is an avid player of the game. Since its introduction less than two weeks ago, Pokémon Go has become the most popular app of all time, surpassing the Candy Crush Saga that hit its height of popularity in 2013. Hancock hopes the workshop helps Pokémon Go players in metro Birmingham avoid accidents that have occurred across the country. 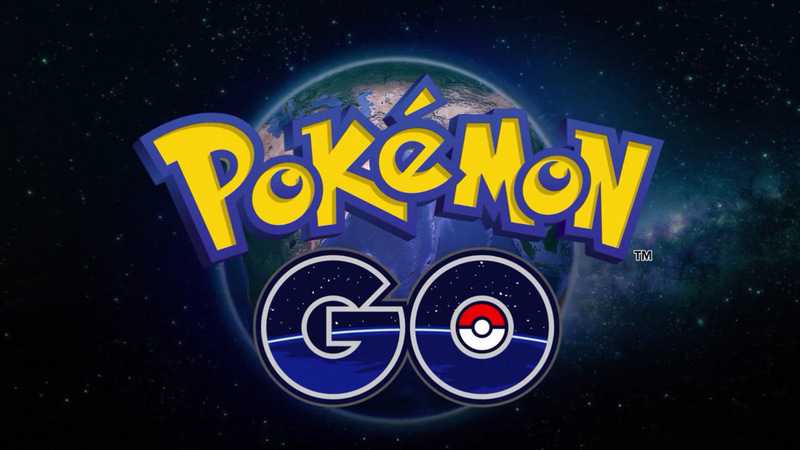 Hancock said the media reports about Pokémon Go players getting hurt or stepping into dangerous situations are detracting from the fun of the game. 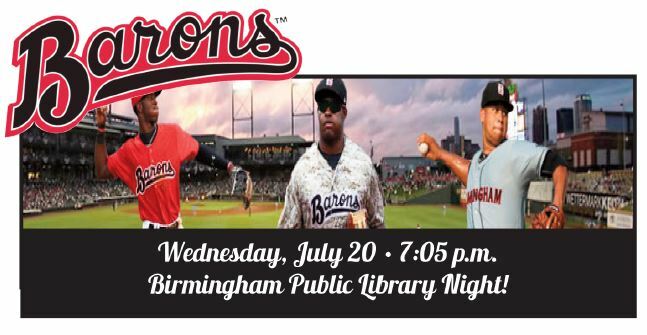 The Birmingham Barons baseball team will be holding Birmingham Public Library (BPL) Night on Wednesday, July 20, 2016. Library staff will have a table promoting programs and services available at 19 city libraries, said Sandi Lee, interim director of the Birmingham Public Library. The Barons will be hosting the Montgomery Biscuits at Regions Field, 1401 1st Avenue South in Birmingham. The game is slated to begin at 7:05 p.m. You can purchase tickets online at www.barons.com or at the gate. For more information, call the Barons office between 9:00 a.m. and 5:00 p.m. at 205-988-3200. While some venues across the country are shooing away participants of Pokémon Go, the Birmingham Public Library (BPL) system is welcoming patron players of the popular virtual game that is sweeping the country. Several of Birmingham’s 19 libraries have seen patrons come in trying to catch Pokémon while playing the game on their smart phones. Among them is the Eastwood Branch Library, which has found itself to be a PokeStop (location where Pokémon Go players can pick up much needed supplies and collect Pokémon), according to branch manager Brandon Crawford Smith. Smith said the Eastwood Library, located in a shopping center just off Montevallo Road, has seen both new and regular patrons coming in to play Pokémon Go. For those unfamiliar, Pokémon (short for “pocket monsters”) was originally a video game released in 1995 from Shatoshi Tajiri. Players are “human trainers” who travel a virtual world capturing adorable “Pokémons” using capsules called Pokeballs. In the Pokémon video games, players catch and train Pokémon and compete in Pokémon gyms, places where they compete for prestige, earn badges, and make their Pokémon bigger, badder, and better. In Pokémon Go, gyms are attached to free, safe, public places where all players can get access to. But across the country, some venues—such as some national museums and the Arlington National Cemetery, are banning Pokémon Go players. Libraries, in contrast, are welcoming Pokémon Go players and using the game’s popularity to introduce patrons to their Pokémon books, videos, and other items available to the public. Some libraries have set up Pokémon displays. On Friday, July 22, 3:30 p.m., the Inglenook Branch Library will bring its summer reading program to a close. Mad Skillz Dance Company will lead the program with dance moves that everybody will be able to move to. A ceremony honoring and rewarding the summer reading participants who completed the program will follow. Door prizes and light refreshments will be provided as well. So stop by the Inglenook Library and get your dance on! 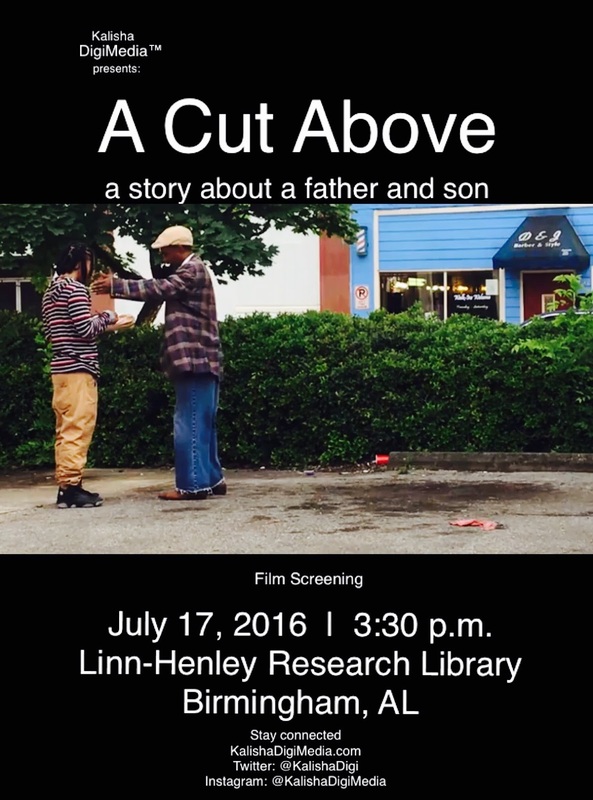 The Central Library will host the debut film screening of A Cut Above: A Story About a Father and Son on Sunday, July 17, 3:30 p.m. The 13-minute documentary deals with a Birmingham barber reconnecting with his biological father after years of no communication. This is the debut film for Kalisha DigiMedia. The founder of the production company, Kalisha Whitman, is a 31-year-old former reporter for NBC 13. Whitman is an Emmy-winning journalist who has been recognized by the Associated Press and the Alabama Broadcasters Association for her work. A Cut Above was born out of Whitman’s natural curiosity. Whitman said she came up with the idea while sitting in the chair of her longtime barber, Taqee Salaam. An interesting man walked in and had a brief conversation with her barber. After 10 years working as an anchor and reporter, Whitman decided to go with her desire to start the production company sharing positive stories you don’t see on traditional news platforms. A self-described woman on the roam with her iPhone, Whitman filmed A Cut Above using her mobile device. “The landscape of journalism is changing. Capturing stories is a way of life. We are never not connected to our phones. So that’s why I did it,” she said. Whitman started the documentary on May 27, and finished within a month. 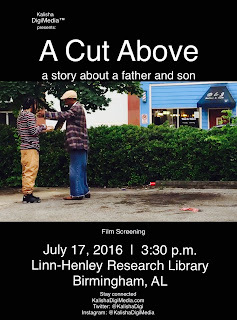 The screening this Sunday at the Central Library will be its debut. You can check out more details about the film at www.KalishaDigiMedia.com. If you are interested in submitting a story idea, e-mail Whitman at ideas@kalishawhitmanmedia.com. July marks the return of Southern History Department's popular Beyond the Basics of Genealogy workshop series,Let's Talk About: Oral History. Relatives and family friends are important sources of information. In this introduction to the oral history series, you will learn how to gather information from those who have difficulty remembering or are troubled by the past and reluctant to share it. The workshop will be on Saturday, July 16, 10:00 a.m., in the Central Library’s Arrington Auditorium. Register by e-mailing askgenlocal@bham.lib.al.us or calling 205-226-3665. Workshops are free of charge, but registration in advance is requested. Southern History staffers will be traveling to several locations to present its Birmingham in 1916 program, and will be hosting its popular Introduction to Genealogy class at the Springville Road Regional Branch Library as part of BPL's summer reading program. "The Southern History Department is thrilled to be teaching genealogy and introducing patrons all around the county to our resources," said Mary Beth Newbill, head of BPL’s Southern History Department. Let's Talk About: Oral History – Relatives and family friends are important sources of information. Whom do you want to talk with (everyone) and what do you want to ask (everything). Join us in this introduction to oral history. Learn how to gather information from those who have difficulty remembering or are troubled by the past and reluctant to share it. Using the Census in your Research – BPL's Mary Beth Newbill will be the speaker. Birmingham in 1916 – Get a glimpse into the past as the Southern History Department takes you on a journey through the news, stories, and advertisements gleaned from Birmingham newspapers for the year 1916. Introduction to Genealogy – Want to learn how to do genealogical research? Come to this introductory class that will help get you started on your genealogical journey. No registration is required, and it will be held in the Southern History Department. How to Patent an Invention – Did you have an ancestor who was an inventor? In this class, participants will learn more patents, basic search methods, and will conduct searches in the U.S. Patent and Trademark databases. To register, call the Computer Commons at 205-226-3680. RootsTech Family Discovery Day – This free all-day workshop features the best local genealogy speakers. Please visit http://bhamfamilyhistory.wix.com/roots-tech-2016 for more information and to register. For more information about the BPL Southern History Department, call 205-226-3665 or e-mail askgenlocal@bham.lib.al.us. You can also find more information online at http://www.bplonline.org/locations/central/southern/ and follow us on Facebook at www.facebook.com/SouthernHistoryBPL. Author Ransom Riggs has collected odd old photos for much of his life. He and his editor thought it would be interesting to base a novel around the pictures. 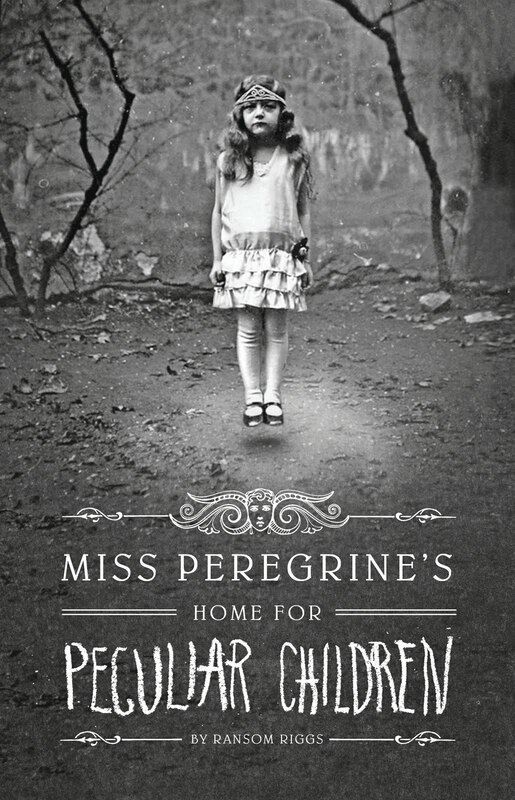 That novel became Miss Peregrine’s Home For Peculiar Children. I don’t know of anyone who’s ever done a novel like this before, but the Surrealists and Dadaists illustrated some of their fictions with pre-existing engravings taken from old magazines and catalogs. The text/photo pairings in Miss Peregrine’s reminded me of Max Ernst’s illustrated novels and E.V. Lucas’ What A Life! That girl standing and floating on the cover of Riggs’ book grabbed me, and my liking for the book’s ancestors made me want to read about this peculiar home. The novel usually follows this format: First, we’re introduced to significant points in the narrative. Then you turn the page and there are illustrations (sorry, vintage photos) showing you what the narrator just described. Each time a significant character, for instance, is introduced, you get to where you want to skip ahead and see the photo, asking yourself, “How will Riggs depict this with his stock of snaps?” It’s a pleasurable experience, this anticipating and gratifying, vaguely like the old interplay with conventional illustrations, but odder because you know the narrative has had to fit the picture rather than the other way round. 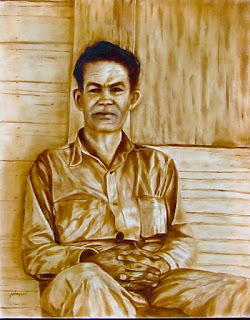 But since Riggs chose the pics out of his collection of thousands, his freedom may not have been totally straightened. In any event, it all works, and it somehow makes the novel more real, in a surreal way. But all that novelty wouldn’t matter much if the story wasn’t good. Fortunately, it is. It’s a tale that could have held its own even without the photos. It’s a story that starts with a teenage boy, Jacob, who is recounting how his mentally ill grandpa used to show him old photos of odd children when Jacob was a child. Grandpa always said these were proof that his tales of growing up in Wales were true, and Jacob believed him. Until he grew up. He’s so embarrassed now that he ever believed the stories about a fantastical island home for peculiar children off the coast of Wales. Then his grandpa is murdered and Jacob is set on a course that makes him wonder if the peculiar stories might be true in part, then might actually be basically, then… Then he has a breakdown. His psychiatrist thinks it’d be good if Jacob goes to Wales so he can see for himself that such things never happened. That trip doesn’t confirm the doctor’s reasoning. As events unfold, the reader is captivated by an unfolding Peculiar universe that dovetails with mythology, religion and all sorts of historical events. You won’t look at the Great Siberian Explosion in Tunguska the same way again. And if you never heard of that explosion, it won’t matter, because the narrative still works its spell. When it works its magic, it’s as if Peculiars have always existed and we never knew it. History, like vintage photos, confirms Peculiardom. Somewhat similarly, the narrative makes side glances to well-known fictions such as Lost Horizon, the Harry Potter series, superhero comics (especially X-Men; I had to have this one explained to me), The War Of The Worlds, and so on. None of this is showy. It’s all seamless and doesn’t slow down the pace, which is important since the book is, above all, a thriller. There are also romantic/sexual elements (PG; Jacob is inexperienced) and time travel factors (not in any way you might expect). Something for most, if not all, readers, but enough that it kept the book on bestseller lists for months. And that confirms that, despite my English major entreaties, this isn’t a heavily freighted book. It’s just the right weight for a teen novel that has adult appeal. Riggs’ editor told the author the book could go either way—teen or adult. The two agreed to go the teen route, but the adult pull shows that it really did end up having both kinds of readership. I’ve found out that two of my coworkers have read it, so there’s two adults for you there, and, since this is a library I’m talking about, there are doubtless more that I haven’t found out about. I never felt out of place reading it, although it had been a while since I’d read so much about retards, butts, being horny, and embarrassment. But then embarrassment is the great teen theme. As I read the novel, I got interested in all the attendant matter, and soon discovered that Miss Peregrine’s is now Book 1 of a trilogy and that the movie of 1 is coming out in the fall, directed by Tim Burton. I don’t know if I’ll read the sequels or not, but I’m eagerly looking forward to the movie. Burton seems like a natural for it. Looking at stills on the movie website, the characters, with some inevitable Hollywood compromises (Miss Peregrine isn’t supposed to be a looker—she’s supposed to be dowdy) look mostly faithful to their book counterparts, the photos. It all started with the photos. Carolina’s story begins in familiar territory for many of us. She’s a disgruntled tween who’s forced to spend the summer with her family instead of her friends. She is brought face to face with her New Mexican heritage when her parents uproot everything to help her grandfather transition from his beloved ranch to a nursing home. She’s nervous about meeting her grandfather for the first time and terrified that her friends will forget her. What in the world is she going to say to a grumpy old man who is losing his grip on reality? An age-old rift between Carol’s dad and his father only makes the situation weirder. So much for summer fun... The last thing Carolina expects is to form an instant bond with her Grandpa Serge. His dementia recedes as he tells her stories about a magic tree and an immortal village in a land that’s steeped in wonder. Can the crusty, old dust heap that they’re cleaning out truly be the site of so much magic? Carolina starts to question her own sanity when she sees the impossible bees that her grandfather obsessively mentions. Is dementia contagious? Carolina is drawn into her family history through her grandfather’s magical world, no matter the consequences. This book was SUCH a great summer read. The author does a wonderful job of making the reader feel like they’re part of the story. The imagery describing the New Mexican desert, the derelict ranch, and the oasis of Grandpa Serge’s story drew me in with simple and powerful language. It was easy to follow and easy to feel the buzzing of the bees and the sting of desert air. Carolina is a likable and sympathetic character, right on the cusp of middle school. Even though she was reluctant to embark on this journey, she embraced her duty as sister, daughter, and granddaughter with determination and grace, but in a totally relatable way. By the end of the book she becomes a daring young woman, worthy of being admired. I know this is a cliché, but it’s true—I laughed and cried throughout the whole book! This title would be at home with everyone from middle grade readers to adults of all ages. There’s something for everyone: adventure, drama, mystery, tween angst, and a great introduction to magical realism. This is a beautiful story about growing up and embracing your roots. I wish I would have asked insert question here before insert name of person died. We all have uttered those words at one time, and have a tinge of regret when we look back at all those missed opportunities to ask those we love something. Anderson Cooper, journalist and host of CNN’s Anderson Cooper 360, had those same thoughts when his mother and fashion designer, Gloria Vanderbilt, nearly died last year from a respiratory infection. Luckily, Gloria recovered, and Anderson decided to ask his mom all the questions he always wanted to ask and capitalize on the time remaining in both their lives. 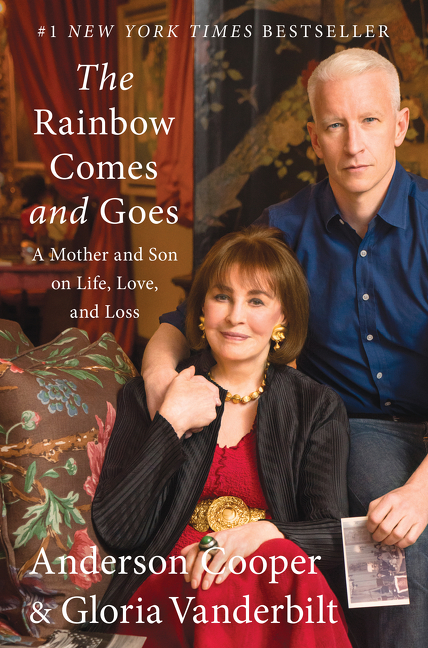 That conversation changed their relationship, brought them closer together, and eventually became their co-authored book, The Rainbow Comes and Goes: A Mother and A Son on Life, Love, and Loss. When reading this book, I was immediately sucked into the private lives of two famous people who interacted and moved in legendary social circles. Before I began page one, I started out knowing a great deal about Anderson Cooper. My childhood was spent seeing him as a correspondent for the nightly news along with being the host of one of my favorite reality TV shows, The Mole, and by the time I entered college, he had his own show, Anderson Cooper 360. Gloria Vanderbilt was a complete enigma to me, and the only frame of reference I had was that she might have designed blue jeans with a swan logo. This lack of knowledge might stem from me being a 30-something-year-old as Gloria Vanderbilt would have been 60-something years old by the time I was born. We never had what would be described as a conventional relationship. My mom wasn’t the kind of parent you would go to for practical advice about school or work. What she does know about are hard-earned truths, the kind of things you discover only by living an epic life filled with love and loss, tragedies and triumphs, big dreams, and deep heartaches. When I was growing up, though, my mom rarely talked about her life. Her past was always something of a mystery. . . I didn’t want there to be anything left unsaid between my mother and me, so on her ninety-first birthday I decided to start a new kind of conversation with her, a conversation about her life. Not the mundane details, but the things that really matter, her experiences that I didn’t know about or fully understand. Thus their conversation began, and it prompted an exchange that allowed each one to ask the questions they always wanted to ask but never did. Because Anderson travels extensively for his job as a journalist, their conversation was through e-mail, which Gloria had just started using a few months earlier. Through this medium, it allowed each of them to reflect, craft responses, and cope with the emotions on their own personal timeline. What resulted is a moving picture of what is means to be Gloria Vanderbilt and Anderson Cooper, a memoir worth reading. As I read this book, I started formulating a list of questions that I want to ask my loved ones. Some are tough questions, and I am afraid that our conversation will end with a response of "I don’t want to talk about it." Having these face-to-face conversations can be described as oral history, and can open the door to learn things about your family and friends that you never knew. But, how do you do oral history? Luckily, the Southern History Department is offering Let’s Talk About It: Oral History as part of its Beyond the Basics of Genealogy workshop series. Oral history is an important part of genealogy. Relatives and family friends are important sources of information. With whom do you want to talk (everyone) and what do you want to ask (everything)? Learn how to gather information from those who have difficulty remembering or are troubled by the past and reluctant to share it. This workshop will be held on Saturday, July 16, beginning at 10:00 a.m. in the Arrington Auditorium. 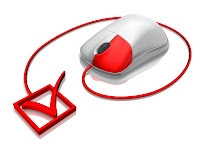 Workshops are free of charge, but registration is requested. To register, contact the Southern History Department of the Birmingham Public Library at 205-226-3665 or askgenlocal@bham.lib.al.us. Imagine you are driving the highway and you see a hand poking out from a closed trunk of a car. This is the stuff of movies, but it actually happened here in Birmingham in 1979. Birmingham News reporters broke this story by following the car, and discovered the person in the trunk had actually been kidnapped. It may surprise you to learn that the media often comes to the Birmingham Public Library to use our microfilmed newspapers and digital microfilm scanners as they research stories. Come visit the Microforms Department and try out our new digital microfilm scanners. The image quality is unparalleled, and you can touch up images to make them even better. Besides printing, you can save your images to a flash drive in the following formats: JPEG, PDF, TIFF, and PNG. You never know what you might find in this untapped treasure trove of information. 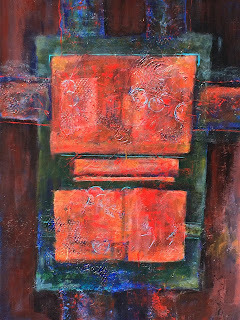 When: Opening reception Sunday, July 10, 2:00-4:30 p.m. 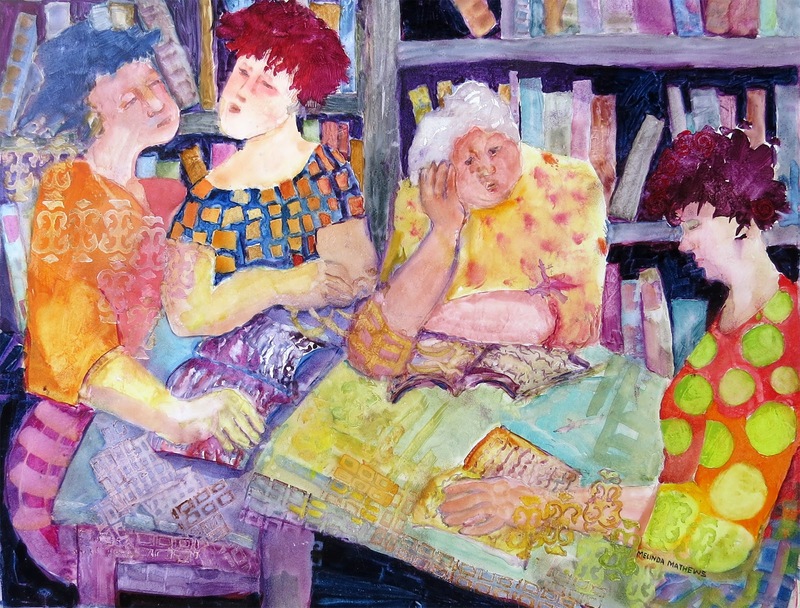 Starting on July 10, 2016, the Birmingham Public Library will feature the work of ten Alabama artists who are also members of the Watercolor Society of Alabama (WSA). 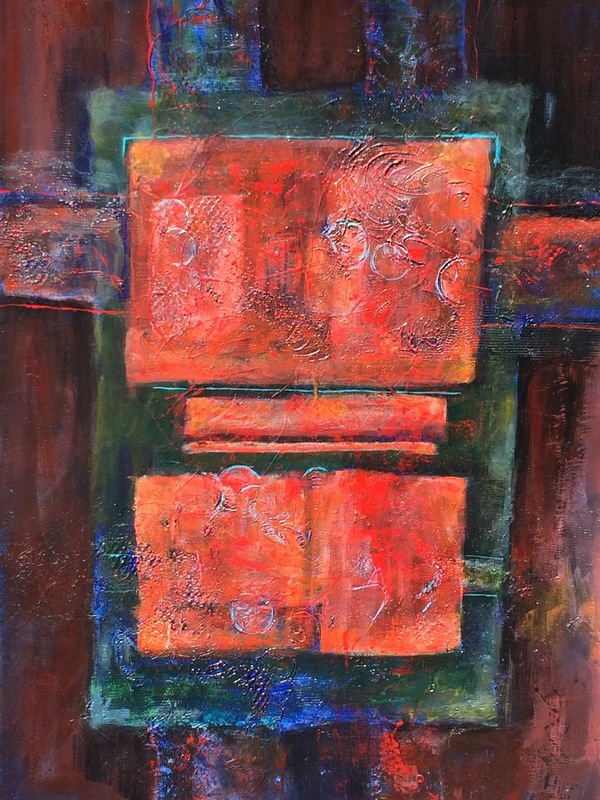 The exhibit will feature a variety of media including oil, acrylic, collage, watercolor, ceramics, mixed media, hand-painted lithography, and calligraphy. 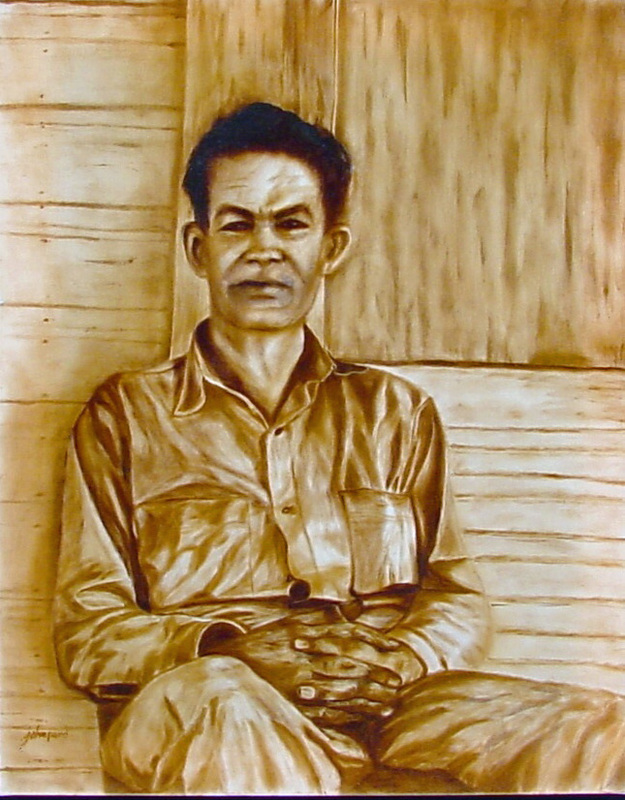 Ten Alabama Artists debuts in the Fourth Floor Gallery of the Central Library and runs through August 26, 2016. The public is invited to meet the artists at an opening reception on Sunday, July 10, from 2:00 to 4:30 p.m., in the Central Library's Boardroom adjacent to the gallery. The reception is free of charge. The exhibit is curated by Jaceena Shepard of Town Creek, Alabama, a well-known practicing artist, exhibition curator, and art teacher. "These ten artists are enthusiastically creative. Their work is inspiring because it tells a story, makes us smile, asks ‘how did she do that,’and causes us to realize that creativity comes from discovering the most potent muse of all is our own inner child," says Shepard. If you made a New Year’s resolution to get your financial house in order, now’s a good time for a mid-year checkup. To assist patrons in building a better understanding of personal finance and developing a plan for the future, the Birmingham Public Library (BPL) is partnering with UAB’s Regions Institute for Financial Education. 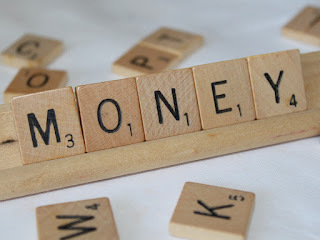 Beginning Wednesday, July 6, 2016, from 12:00 to 1:00 p.m., at the Central Library, BPL will offer a monthly workshop series called Money Matters. The workshops will be held in the Linn-Henley Research Building’s 4th Floor Arrington Auditorium. The seminar will be led by Dr. Stephanie R. Yates, endowed professor and director of the Regions Institute for Financial Education in UAB’s Collat School of Business. To learn more about about seminars and other resources about small business development available at BPL, contact Jim Murray of Central Library’s Business, Science and Technology Department by e-mail at jmurray@bham.lib.al.us or by calling (205) 226-3691. Here is a listing of the Money Matters Workshop Series by month from July 2016 through May 2017. Note: The workshops are held the 1st Wednesdays of each month from 12:00 to 1:00 p.m. at the Central Library. For the second straight month, the Birmingham Public Library (BPL)'s Bards & Brews poetry performance/beer tasting series is going on the road. On Friday, July 8, Bards & Brews will hold an open mic performance at the Vestavia Hills Library in the Forest. On June 3, the popular spoken word event was held at the Avondale Regional Branch Library. The Vestavia Hills Bards & Brews will feature free craft beer sampling courtesy of Grayton Beer Company. The J. Clyde will handle the pouring. The festivities start at 6:30 p.m. with live music from The Murder of Jane Crow, beer tasting, and light refreshments. The poetry begins to flow at 7:00 p.m. with Brian "Voice Porter" Hawkins serving as host. On August 5, Bards & Brews will return to its regular location, the Central Library at 2100 Park Place in downtown Birmingham, with an open mic performance. The event is made possible by grants from the Alabama State Council on the Arts and the National Endowment for the Arts. Admission is free and open to the public; however, attendees must be at least 18 to enter and 21 to sample beer—ID is required. For more information, call 205-226-3670, e-mail hm@bham.lib.al.us, or visit the Bards & Brews Facebook page, or www.bplonline.org/programs/BardsBrews.aspx. If you are interested in learning the art of spoken word poetry, the Central Library will host a free poetry workshop, Gifts of a Wordsmith, on Tuesday, July 5, from 6:00 to 8:00 p.m., in the conference room on the first floor. No experience is necessary. For details, call Haruyo Miyagawa at (205) 226-3670 or e-mail hm@bham.lib.al.us. The Birmingham Public Library is in the process of developing a new strategic plan to help its 19 library locations better serve the citizens of Birmingham. This very important document establishes priorities for our library system and guides the provision of programs and services. The Birmingham Public Library (BPL)’s downtown location is hosting a book drive on Saturday, July 2, to help replenish The Little Free Libraries located in community parks across the City of Birmingham. You can donate new and gently used books for kids ages 3 to 16 this Saturday from 9 a.m. to 6 p.m. in the lobby of the Central Library. The book drive is being offered in partnership by GPS Educational Services, which distributes The Little Free Libraries, along with the BPL and the City of Birmingham. The book drive is designed to help GPS Educational Services achieve its goal of improving literacy by providing new books for youth, said Carnelle Howell, director of community partnerships for GPS Educational Services. It is taking place in the middle of GPS Educational Services’ 100-day campaign to distribute books across Birmingham, and as BPL’s 19 libraries throughout the city host over 500 activities as part of its 2016 Summer Reading program. GPS Education Services has books in The Little Free Library locations in Maclin Park in Collegeville, Crestwood Park, Central Park, and Cooper Green Park, Howell said. “We go in communities and schools throughout Birmingham teaching kids the importance of reading,” he said. For more information on GPS Educational Services, go to www.gpsedservices.com or contact Howell at (205) 203-8789 or e-mail chowell@gpsedservices.com.